I was just reading newspaper and wondered how the media is now constantly using 'Mr Perfectionist' nickname for Aamir Khan. Though the adjective is quite heavy in itself, and should not be use for just anyone. But then I tried to study Aamir, and then started comparing the traits of his with Guru Dutt. I personally belong to this modern era and somehow lacks total character study of Guru Dutt, I know Guru from his movies, and through various written material we have courtesy his friends & colleagues, Like Dev Anand, Abrar Alvi & VK Murthy to name the few. Though still that info can not be compared to today's twitter-friendly & FaceBook-Driven actors and superstars. I always wanted to have the more detailed study of Guru's thought process, his ideologies and his point of view about the world around him. That has played an important part in his cinematic outburst like Kaagaz ke Phool & Pyaasa. Clearly, he was the original Mr Perfectionist of Indian cinema without doubt. His way of treating Film-making as an absolute is quite well-known. His issues and rifts over the minute subtle artworks of his cinema has often led many legendary artists to avoid Guru Dutt. He had that heat of Iron, that uncompromising attitude which made him produce and direct many classic stories. Now let's connect the dots of Aamir & Guru. 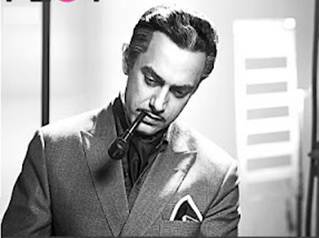 Aamir favorite life-changing movie is Guru Dutt-starrer and Directed movie PYAASA (1957), he has often quoted him to be great inspiration in his career. Aamir Khan, though has directed only one film till now and that's Taare Zameen Par, but it was worth an effort. Even Aamir has given several co-actors and directors a hard time while filming of his movies due to his extra-specific scene demands and retakes-till-perfect behaviours. Also, many times he has been criticized by his Directors and producers that he always change his mindset and demands re-shooting of any sequence he thinks was not up-to-the-mark as per his vision. Recent feud between Reema Kagti & Aamir over his upcoming flick Talaash is also one example. Guru was also very specific about his sequences and treatment, that also gave his cameraman VK Murthy a hard time working over and over again for the perfect scene. 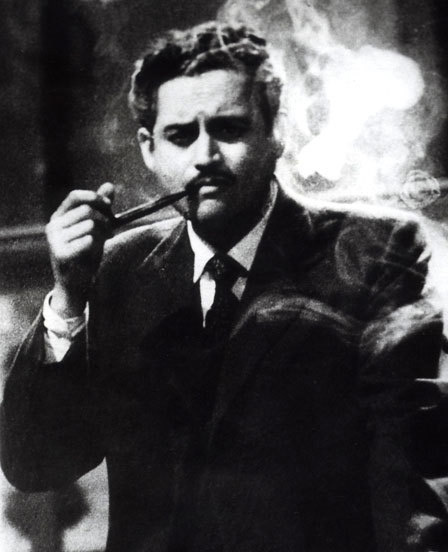 It happened in KAAGAZ KE PHOOL trademark light-beam shot, which has became world-famous, and Pyaasa's last auditorium scene for which Guru Dutt took over 100 retakes. He always was unsatisfied with his final product, his intent always remains EK AUR SHOT, EK AUR....but this unsatisfaction was not just with his actors and actresses, but with himself too, his scene was never up-to-the-mark according to him. He was so involved in the technical aspects of the movie that he used to guide his team how he has imagined the shot. At first his too many retakes thing was misjudged by the industry people who termed him as a novice Director who don't know the craft. But later everybody started respecting Guru. Thankfully, he was blessed with cinematographer like VK Murthy. Even Dada Saheb Phalke-winner VK Murthy thinks, that Aamir is best suited for the autobiographical movie on Guru Dutt which Anurag Kashyap & Rakeysh OmPrakash Mehra were planning. According to Arun Dutt, Guru Dutt's son, Aamir has been approached for the role and he has asked for the script. Infact Aamir also did one photoshoot posing as Guru Dutt with Katreena posing as Waheeda in a trademark poster-picture of Pyaasa. So if the film on Guru Dutt's Life actually becomes a reality, It will be interesting to watch Aamir preparation for the role. Though these characteristics traits and similarities are enough to state that Aamir Khan is more closest Film personality to Guru Dutt, Infact one newspaper even quoted him to be the incarnation of Guru Dutt. That's a bit too far. I think Aamir has a lot to prove in order to justify that phenomenon. 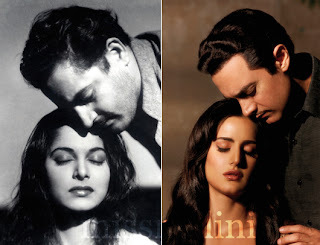 But still he is lucky to be compared with the timeless genius Guru Dutt. every indian must watch that! I agree we shouldn't involved in comparisons of different era stars. 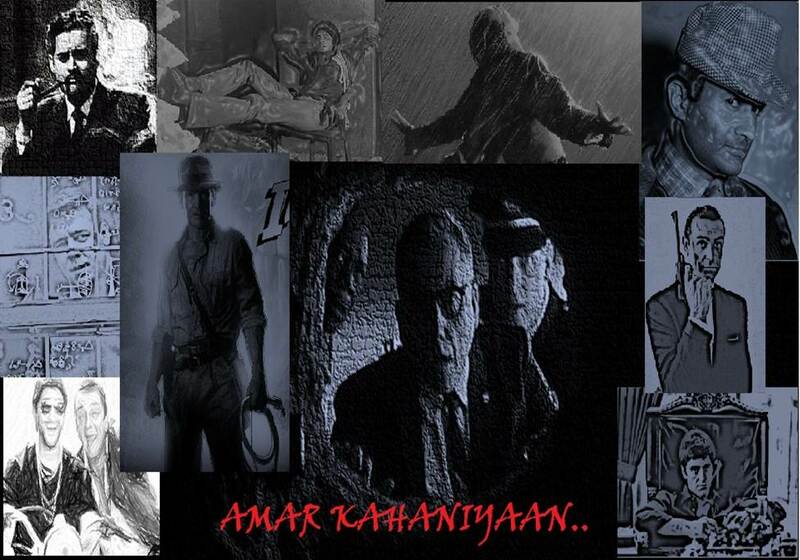 And I place Guru Dutt lot higher at the echelon of Art of Cinema than Aamir. But one always crave to find the successors atleast in approach towards film-making...That was the basis of mentioning Aamir as a successor of Guru Dutt in approach..
in catalogue , quality, beautiful design - unique - odd eye-catcher, quick time, cost is always the best. The community is growing and it is being followed by the formation of many companies, companies, companies ... as the services included in the brochures are also gradually gaining popularity. The file is thought to be greeted by corporate companies to their potential customers, so it can be said to have a major impact on the future of business enterprises. To meet this demand, we have launched a commercial printing service in Hanoi for 10 years, constantly innovating design over the years, as well as innovating both modern printing machines and technology to meet the needs of businesses, companies, businesses in the most advanced way. If customers are looking for cheap and old shopping cards in Hanoi, we are definitely the ideal choice.